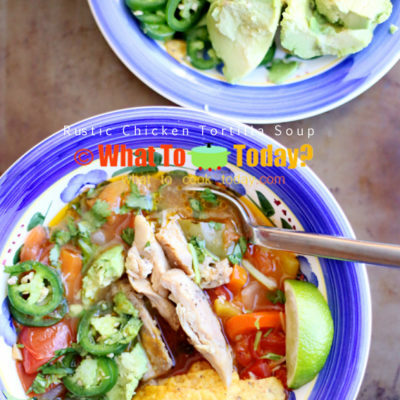 Fall and Winter Recipes MAINS MEXICO NORTH AMERICA SOUP & STEW U.S.A. 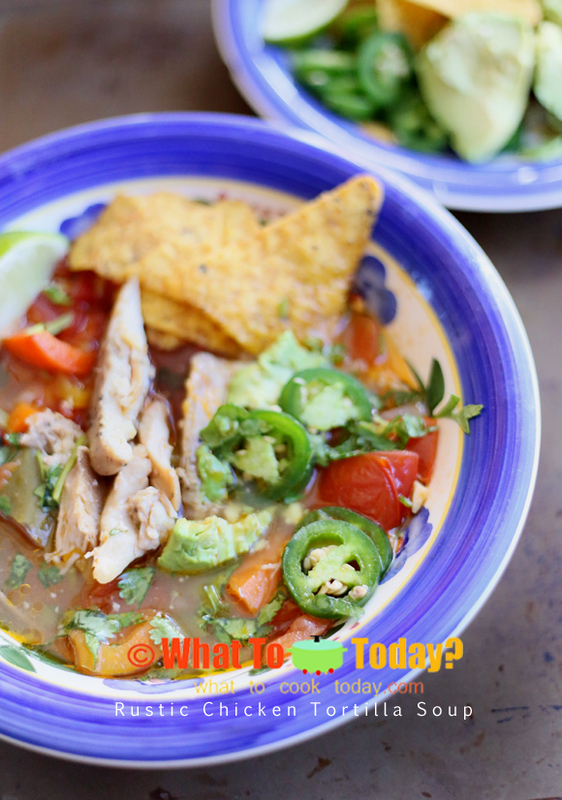 I had tried several chicken tortilla soup and while they tasted pretty good, I thought something was kinda missing. 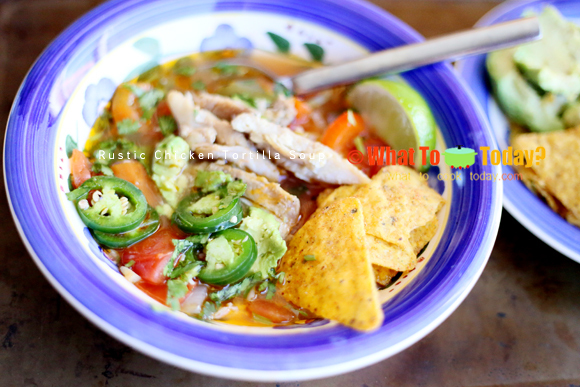 Then I saw another tortilla soup recipe from Jamie’s America cookbook and I simply couldn’t pass on this one and went ahead and gave it a try. The verdict: SPECTACULAR! I guess I kinda like the rustic style of cooking. The first spoon of soup into my husband’s mouth and the guy couldn’t be more impressed. 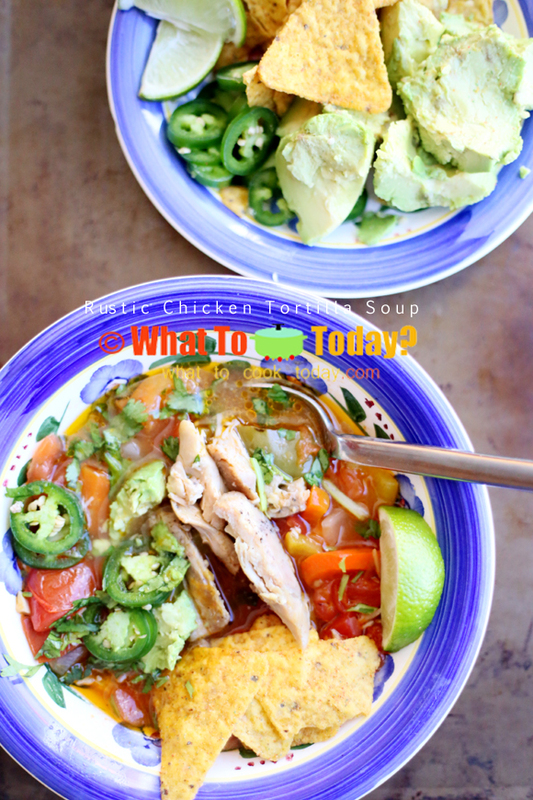 The freshness of jalapeno and the chunks of beautiful ripen avocado complement the soup so well. In the original recipe, the soup itself was meatless and made of fresh vegetables like onions, carrots, bell peppers, tomatoes and flavored by bay leaves. I did bake some chicken and add it to the soup. The meal was complete and everyone was super happy! !